This holiday season, both online and offline, gift cards are all the rage. That’s because there’s a huge market for them. According to PwC Canada’s 2017 Canadian Holiday Outlook report, 50% of Canadian shoppers will be opting for a gift card or store credit as a gift idea this holiday season. It’s no wonder more business owners are exploring how to sell gift cards in their store, cafes, and restaurants. Gift cards are a great way to introduce new customers to your business. While consumers quoted price as an important factor in purchasing choices, a total of 58% of consumers plan to shop local this year. 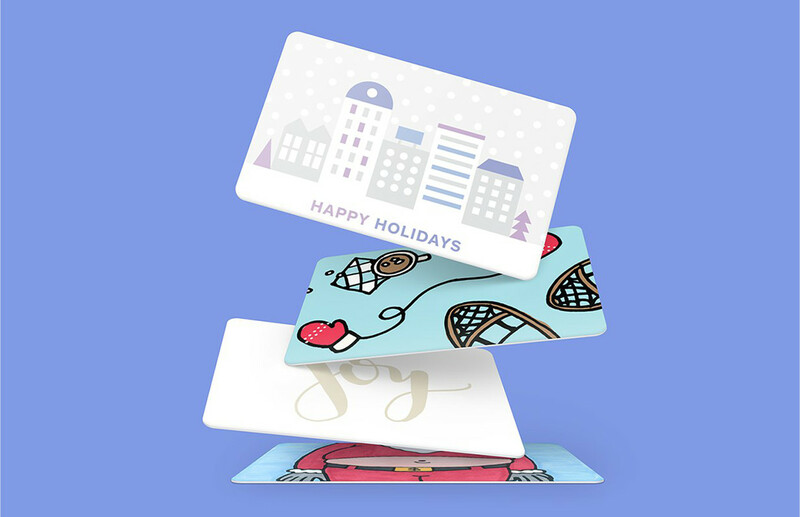 Because 90% of gift cards are redeemed in the first 60 days [http://www.giftcards.com/gift-card-statistics] after they’re received, selling them at your store during the holidays could give your business a nice boost in sales during the first two months of the new year. Read on to learn about how to sell gift cards in your store and on your website, and other helpful tips to maximize your gift card sales over the holidays. Put simply, if your customers don’t know you offer gift cards, they can’t buy them. Promote gift cards in your newsletter, at the checkout counter, or on social media. You can create fun campaigns that include photos of your gift cards with your products, and mention any customer promotions. Alternatively, try creating an online contest, inviting people to take selfies with their gift cards, tagging your business for a possible prize. Visual display and signage: Give your gift cards pride of place next to the register to maximize gift card sales. Training: Train your employees to “upsell” at the register. Gift card promotion: Consider sweetening the deal by offering a gift for the person buying the gift card. For example, “Buy a $50 gift card and get a candle for yourself.” Or offer a discount for the gift card, such as selling a $100 gift card for $80. If you have a website, make sure you call out your gift cards in a prominent place on your site. If you have e-commerce on your website, you can add gift cards as an item in your inventory. Not all local businesses sell their gift cards online, so doing so will give you an advantage over the competition. In addition to selling gift cards at your physical business and on your own website, you can sell them on Craigslist, Etsy, or eBay. These sites are especially good if your own website doesn’t have e-commerce capabilities. Be strategic about which sites make the most sense for your products, brand, and customers. When posting, ensure your gift cards get visibility in relevant searches by tagging your ad with keywords and phrases shoppers might use to find your products or services. Square makes it easy to sell gift cards in your store. You can work with pre-designed templates or create your own custom look. There’s no subscription or redemption fee to run a gift card program with Square — and you can sell, redeem, track, and reload without any additional tools. Once you’re up and running, you’ll receive deposits for gift card activations in as little as one to two business days. Gift cards are integrated right into your Square Point of Sale and Square Dashboard. When a customer pays with a gift card, just swipe the card and the balance will update automatically. Customers can easily add more money to their gift card at any time. All gift card transactions will show up in your reporting, and you can export a full report of gift card sales right from your dashboard. Order your holiday gift cards today.